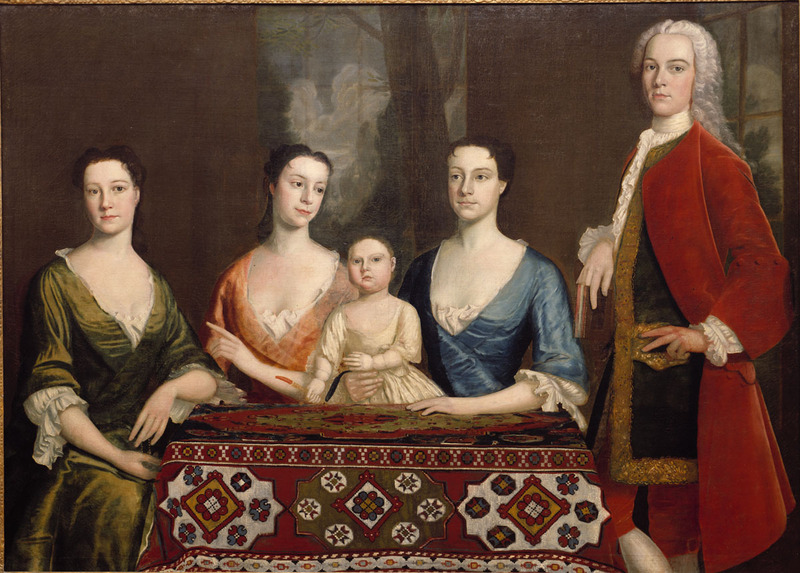 Oil painting of Isaac Royall, Jr. and his family. Robert Feke, 1741. Original painting currently owned by Harvard Law School. 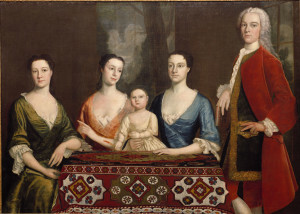 Pictured are: 22-year old Isaac, with his wife of 3 years, Elizabeth (in blue); their 8-month old daughter, also named Elizabeth; his wife’s sister-in-law Mary Palmer (in yellow); and his sister Penelope Royall.